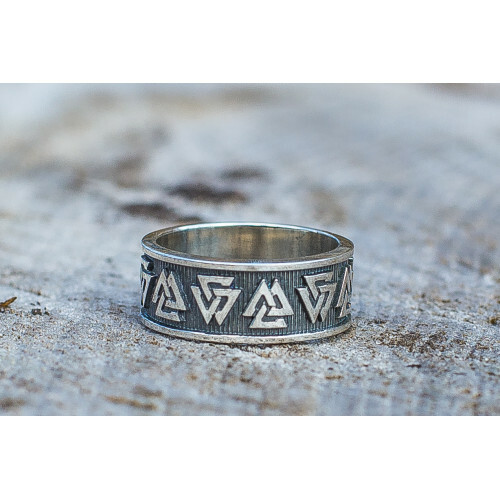 Icelandic mythic symbols were highly relevant during the brave Viking times and remain relevant to this day. 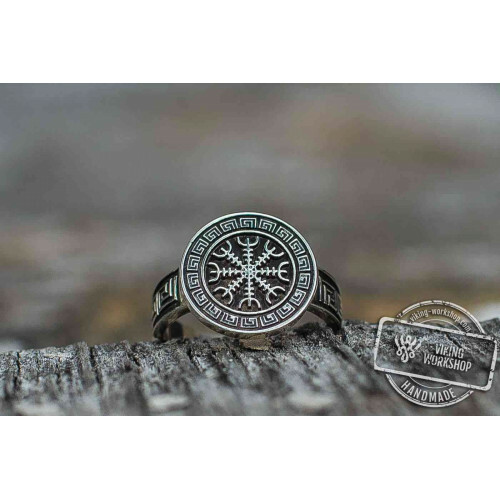 They catch the interest not only of the professional archaeologists who discovered here and there Helm of Awe symbols, but also of the ordinary people. 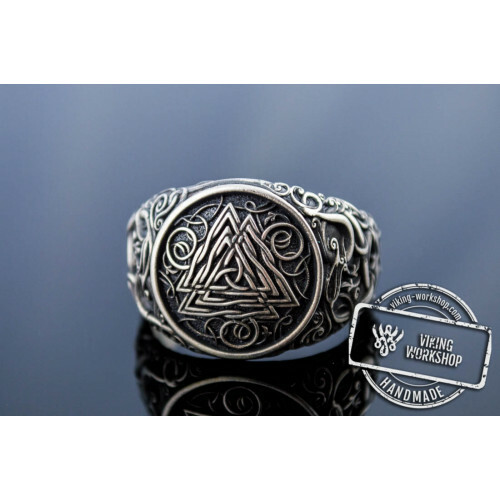 Here you can buy a fancy Aegishjalmur or Helm of Awe Symbol Sterling Silver Pendant decorated with this symbol, as well as the bronze replica at a more affordable price. 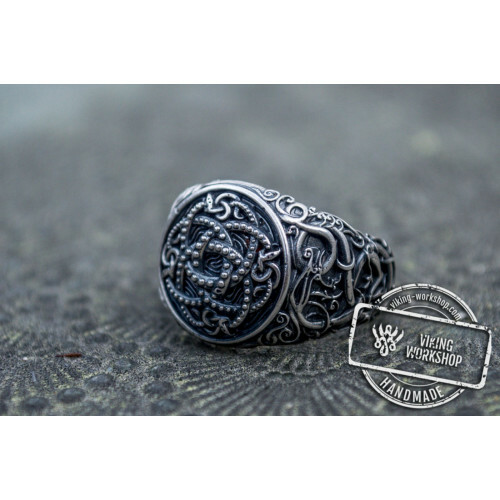 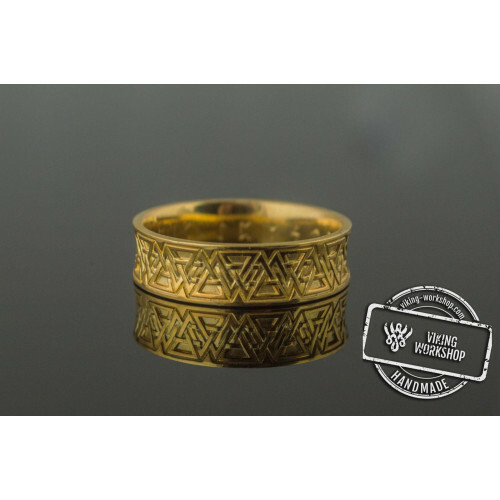 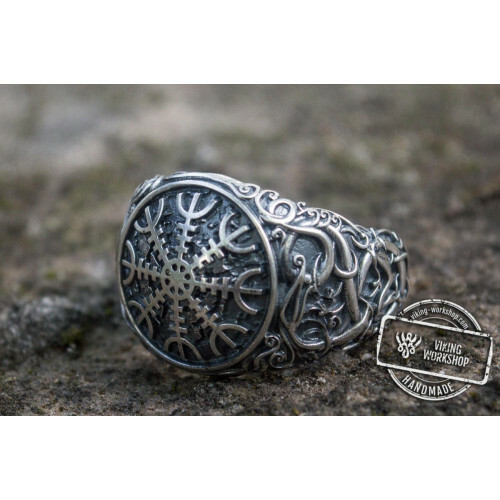 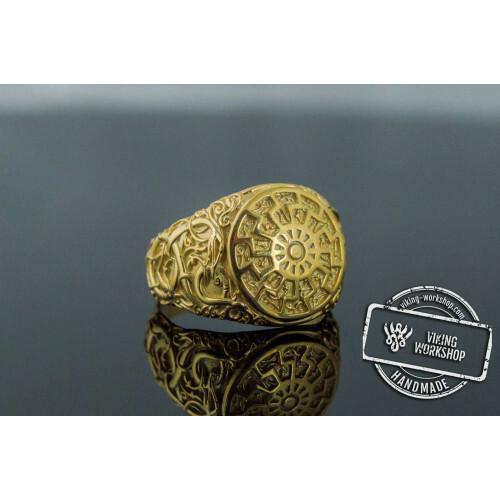 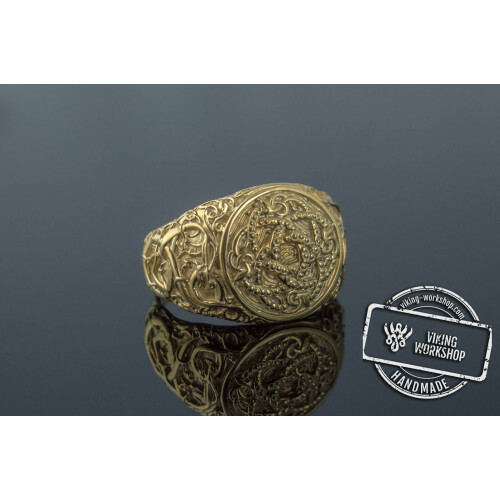 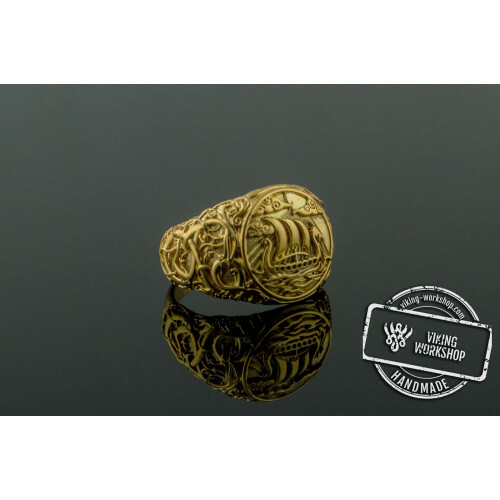 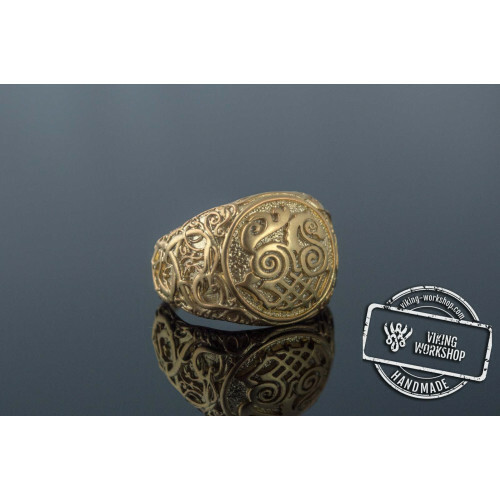 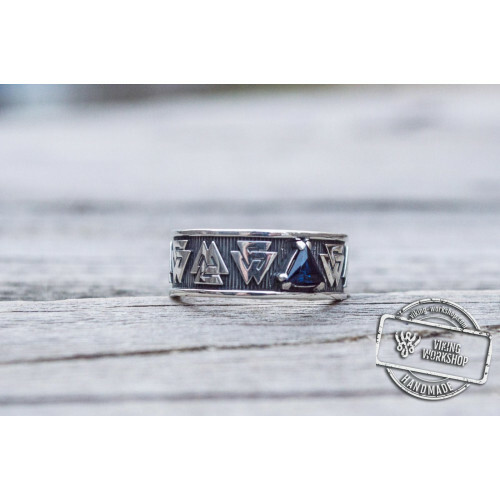 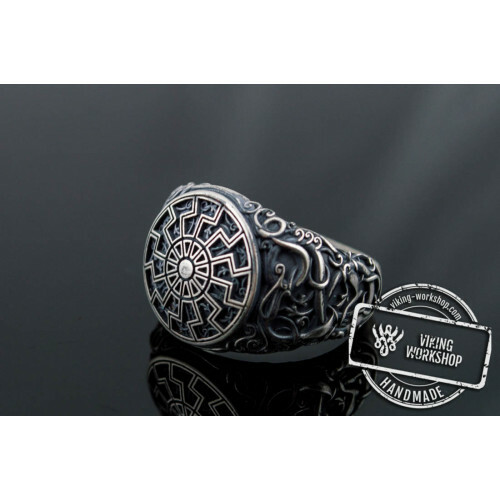 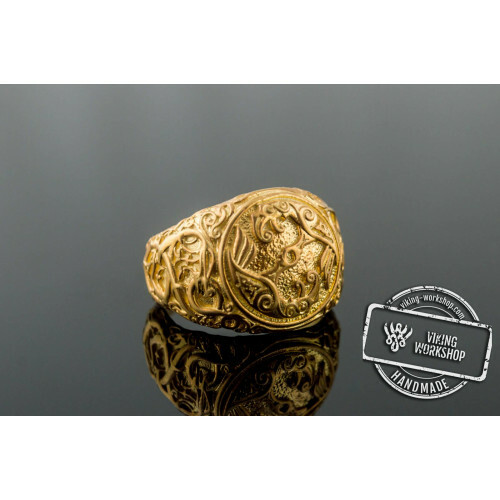 In addition, we offer you to buy Aegishjalmur or Helm of Awe Symbol with Oak Leaves Sterling Silver Viking Ring remarkable with its unique shape, excellent drawing of all its elements including oak leaves decoration and composition of sterling silver! 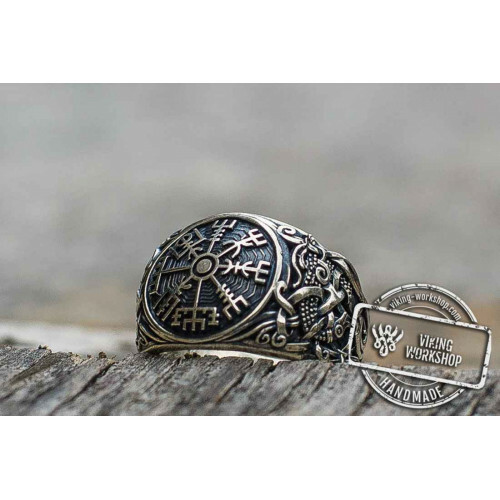 In a modern interpretation, the Helm of Awe helps to fight against the storms of life. 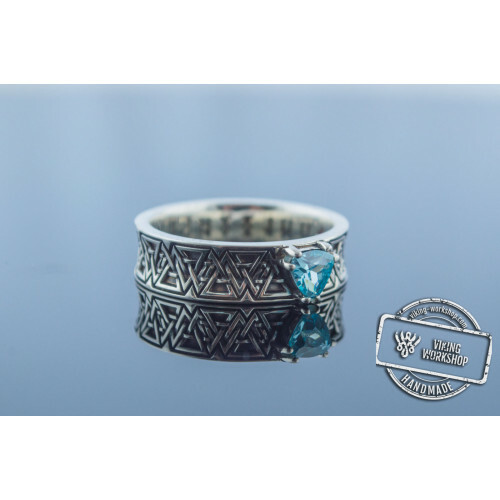 Comfort and style of the ring make it a wonderful accessory. 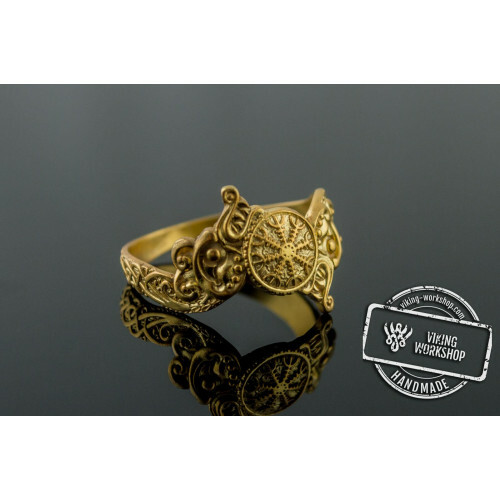 Purchase the best products of viking-workshop without leaving your house! 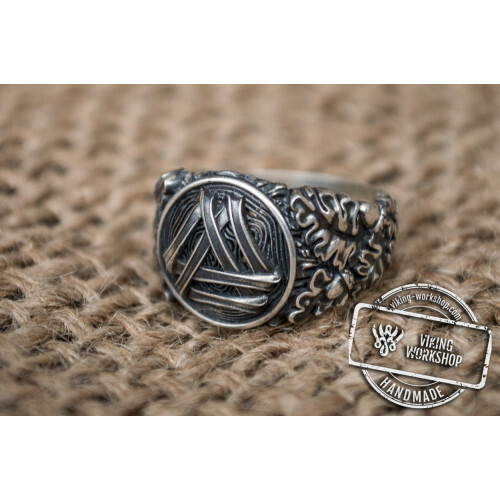 Now you can order Aegishjalmur or Helm of Awe Symbol with Oak Leaves Sterling Silver Viking Ring online. 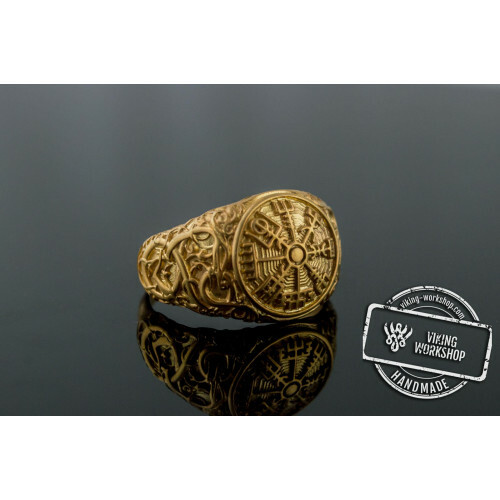 You do not need to leave the comfort of your home and go through thousands of fittings because each ring is handmade by our craftsmen so we can consider the individual characteristics of each our cusomers. 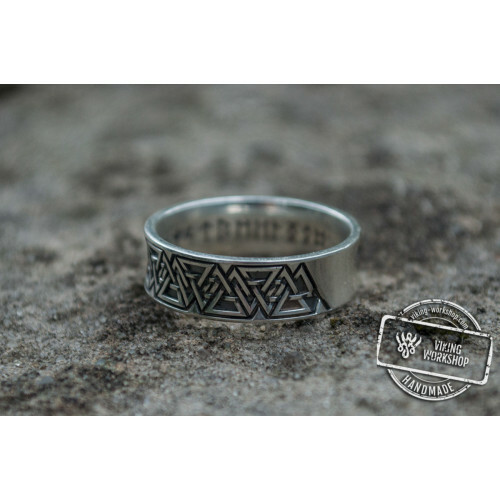 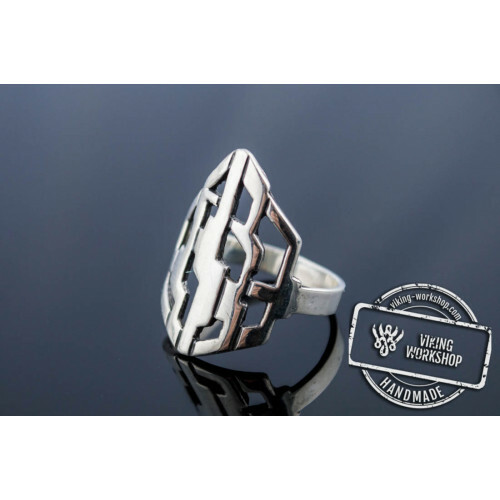 Together with Aegishjalmur or Helm of Awe Symbol with Oak Leaves Sterling Silver Viking Ring you may purchase any other ring, such as Alatyr Symbol Sterling Silver Pagan Ring. 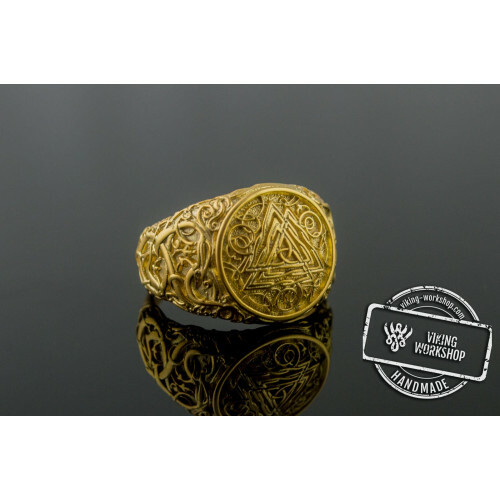 If necessary, our craftsmen can use the other material, for example, yellow or white gold. 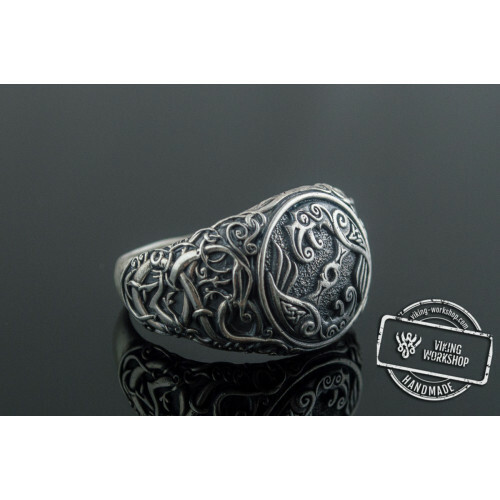 You can specify this information when specifying the order.